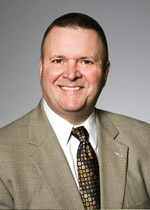 Hank Jeans has served as the Senior Vice President—Commercial for our predecessor since inception. He also served in that capacity for PL Midstream, a prior investment of Lindsay Goldberg related to the energy and petrochemical logistics sector. Mr. Jeans is responsible for managing our business development and commercial activities. Prior to his affiliation with Lindsay Goldberg, Mr. Jeans worked in the crude oil, natural gas liquids and petrochemical industry for 30 years, most recently at Williams Olefins (from 1999 to 2004), where he was Director of NGL Feedstocks and Olefins. His responsibilities in that capacity included the acquisition of feedstocks and the marketing of ethylene, propylene and other co-products. Prior to his employment with Williams Olefins, Mr. Jeans spent 16 years with Union Texas Petroleum Corporation where he held various management positions. Mr. Jeans received a BS in Marketing from Louisiana State University and completed the Executive MBA Program at Rice University’s Jesse H. Jones School of Management.